Fingers on buzzers… The Font’s weekly quiz night is back! 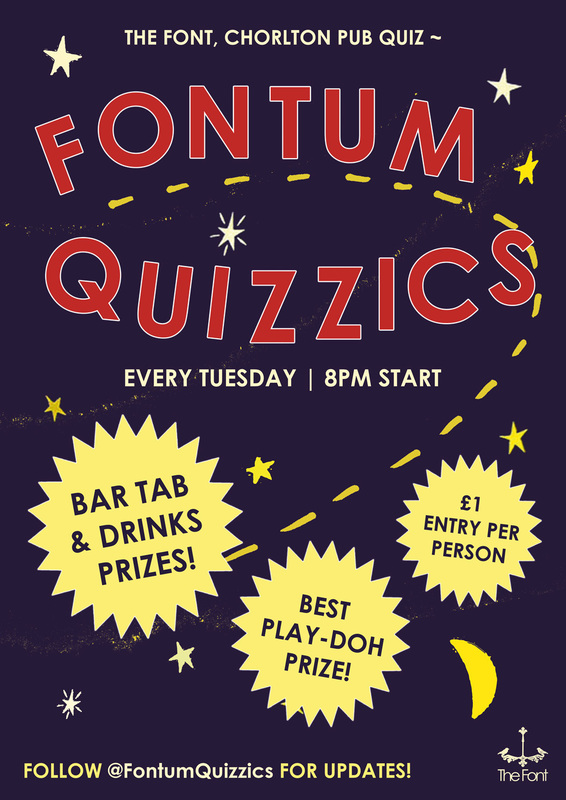 That’s right, Fontum Quizzics returns with pizzas, posers, pints and plenty of prizes – every Tuesday at The Font Chorlton. Hosted by Duncan Wallis (aka Quizzles, aka the singer in Dutch Uncles), it’s £1 in and quizzing starts at 8pm, with freebie food for quizzers 7-8pm and extended happy hour 5-10pm at The Font Chorlton – so pretty much everyone is a winner! Follow @FontumQuizzics for updates and find out about The Font here.